The people at the Ploughshares Fund are attempting to kick start the greatly needed debate about funding the next generation of ballistic missile submarines. In the following article the authors rightly question the "terrible precedent" that would be set should the Navy be allowed (with the help of Congress) to fund a new fleet of boomers (as they are fondly known in the Navy) outside of the Navy's shipbuilding budget. They call for fiscal responsibility, and are also right to question the "strategic sense" of funding 12 ballistic missile subs, and as a consequence have to forgo (according to the Congressional Budget Office) 69 ships of the Navy's conventional fleet. The authors ask, "...could the Navy maintain U.S. security with fewer than 12?" Their answer is yes, and they state that the Navy could do the job with 8 rather than 12 subs. What is intriguing about this rationale is how they came to it. 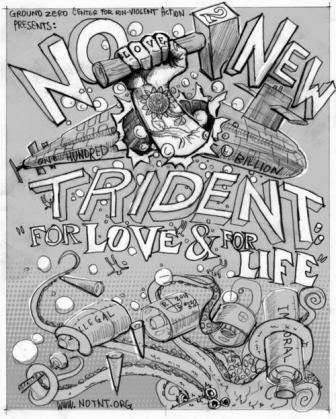 Based on traditional thinking (strategic nuclear deterrence doctrine), weapon system capabilities, and treaty obligations it is not any stretch to realize that 8 Tridents are enough (to destroy life on earth as we know it). What is missing (for me) in this article is any discussion of why we need to build any New Tridents! While much of this article is on the right track, the authors seem to be playing it safe by not venturing into the dangerous waters of questioning the validity of our nations current nuclear pursuits. What of the doctrine of strategic nuclear deterrence in a post-Cold War world? Should it not undergo a thorough evaluation by experts with no vested interest in building and deploying nuclear weapons? And should such questioning be done well before we start preparing to invest hundreds of billions of dollars in new nuclear weapons systems ($100 billion in the case of New Trident)? At any rate, I'm grateful to Ploughshares Fund for contributing to what I hope will be a more public dialogue on an issue that affects the future of every citizen of this nation as well as the future of humanity. Perhaps the question is not how to find "a better way to buy nuclear submarines," but whether to buy them at all. Ironically, the authors close by saying that "The worst thing we could do right now is waste scarce resources on yesterday’s weapons, starving the programs we really need." The Ploughshares Fund shares the Obama’s Administration’s goal of eventually eliminating all nuclear weapons. Whether you agree with that goal or not, Tom Collina of the fund offers here a choice that those on the outer reaches of both political parties may agree on: forcing the Navy to live within its regular budget. The service, and most strategists, believe the Navy must get funding to buy a full complement of replacements for the Ohio class of nuclear missile submarines for the United States to remain the world’s dominant power. That, they say, will require special funding for the Ohio Replacement Program. They believe the service must receive money for both a robust surface fleet, attack submarines and a fleet of nuclear missile submarines. Do we maintain the most advanced nuclear triad in the world, with a fleet of survivable and advanced boomers or not? And how will we pay for it? It’s a choice that will be hotly debated. The Editor. The Obama administration is expected to submit a military budget on February 2 that is more than $30 billion over the amount Congress can approve. That money will have to be cut from somewhere. Fortunately, the Pentagon can save billions of dollars and advance U.S. security by scaling back the excessive program to replace the Ohio nuclear-armed submarine. The Navy is particularly strapped for cash as it tries to sustain a 300-ship fleet while also building a dozen of the new nuclear missile submarines for about $100 billion. As the Navy admits, it cannot afford to do both. But instead of scaling back its plans, the service is seeking an additional $60 billion from outside its budget. This is no way to run a Navy. Congress needs to enforce budget discipline and encourage the Navy to live within its means. Unfortunately, some on Capitol Hill are heading in the opposite direction by creating a special bank account for extra Navy money, the Sea Based Strategic Deterrence Fund. But wait, there’s one catch: the bank account is empty, and there is no realistic prospect of filling it. It was created by the congressional authorizing committees, which set policy but do not sign checks. The appropriators handle the money, and they are not buying. There is just not enough cash to go around. The Sea Based Strategic Deterrence Fund is a pipe dream, and the Navy is kidding itself if it thinks it can buy the new submarines on the cheap from someone else’s budget. The sub fund also sets a terrible precedent for congressional budgeting. The Air Force, for example, also wants to modernize its nuclear weapons and is also strapped for cash. Can the Air Force have a special account too? Where does this end? There is a better solution that few seem to be considering: buy fewer submarines. Yes, current Ohio-class submarines are aging and will need to be replaced. Yes, the subs are the most survivable leg of the nuclear “triad”—which also includes land-based missiles and bombers—which together will cost up to $1 trillion to over the next 30 years. But 25 years after the Cold War and with the new subs estimated to cost $7.7 billion each, could the Navy maintain U.S. security with fewer than 12? There is nothing magic about 12 submarines. In fact, the Navy is planning to have only 10 during the 2030s, and eight would do just as well. The requirement for 12 subs is driven by the Navy’s mission to “forward deploy” about five of the subs close to targets in Russia and China for “prompt launch.” The remaining subs would be in transit or dockside. In other words, the Navy wants 12 subs so some can be within range of potential targets 24-7-365. This may have made sense during the Cold War, but strategic submarines no longer need to be forward deployed in this way. Modern missile subs are invulnerable once at sea. 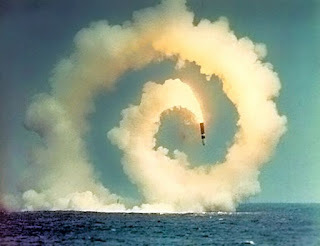 If they ever need to launch a nuclear-armed missile (which has never happened) there is no reason the Navy could not wait even a few days for the subs to reach launch position. In the highly unlikely event that immediate launch were ever needed, the Air Force has ground-based missiles that can do that. According to the nonpartisan Congressional Budget Office (CBO), buying eight subs rather than 12 would save $21 billion over the next decade–and that is real money. The alternative? The Navy could fund the subs from its own budget, but only at great cost to the conventional fleet. At current funding levels, the Navy says 12 new missile subs would crowd out 32 combat ships. This is the rosy scenario. CBO estimates look much worse, with the Navy foregoing a total of 69 ships, including two aircraft carriers, 17 attack submarines, 20 destroyers, 19 littoral combat ships, six amphibious ships and five combat logistics and support vessels. This does not make strategic sense. Carriers and destroyers are the backbone of the fleet. These are the ships that make America a global power–that let it hunt terrorists, clean up after tsunamis, and do exercises with allies, all at the same time. Not having these ships would limit America’s ability to project power around the world and effectively respond to unforeseen threats. These ships would be missed. Compare that to having a few less nuclear-missile subs. Would anyone even notice? Pentagon procurement decisions worth tens of billions of dollars should not be based on obsolete strategy. The Pentagon and the White House need to adjust the nuclear strategy and budget to the declining threat. The worst thing we could do right now is waste scarce resources on yesterday’s weapons, starving the programs we really need. Tom Z. Collina is Policy Director and Jacob Marx is a Research Assistant at Ploughshares Fund in Washington.